I'm a big fan of turban wearing. 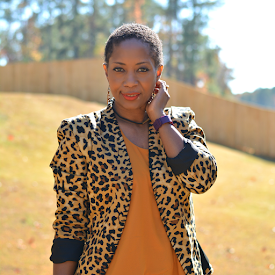 You throw one on and hair styling struggles disappear. It can be your hat on a cold day. It can get you out the house faster when you wake up with bedhead and you to take the dog out and get the kid ready for school drop off. It's a stylish and unique accessory when you're feeling a bit eccentric. 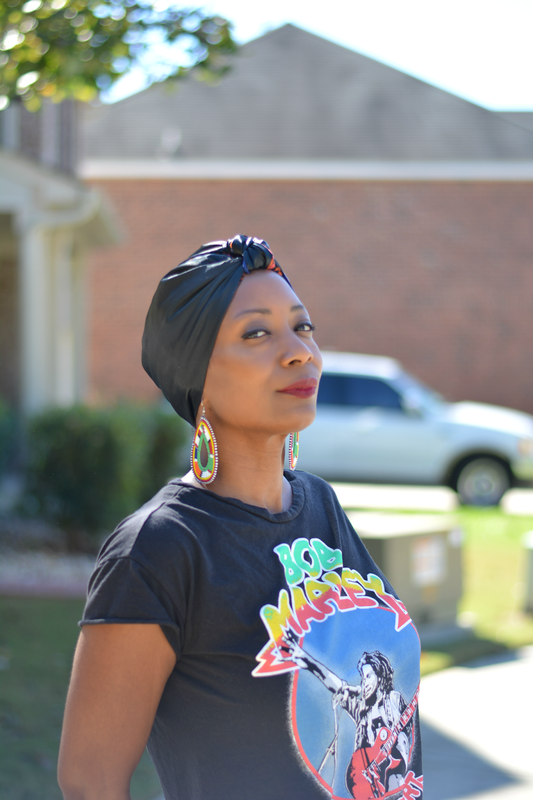 If you'd like to get your old lady chic on, I have a simple turban tutorial that can give you two styles for the work of one! 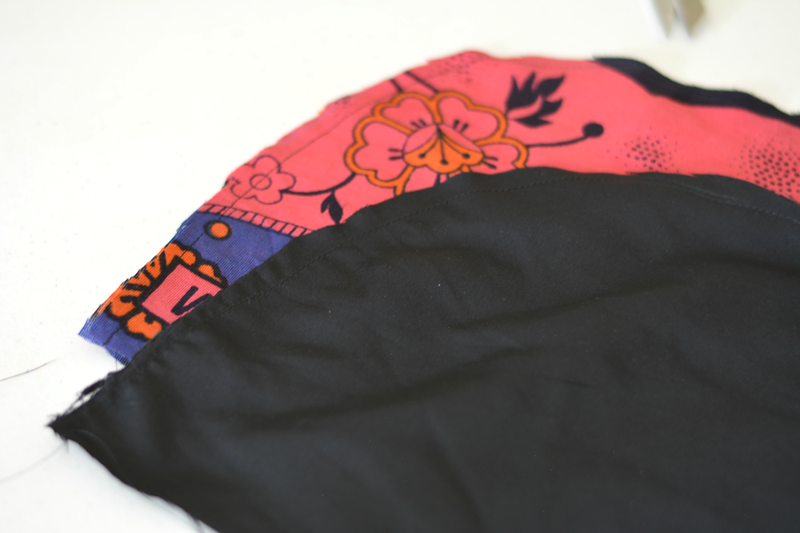 I made one with a satiny classic black side and a colorful floral kanga african print on the other side. 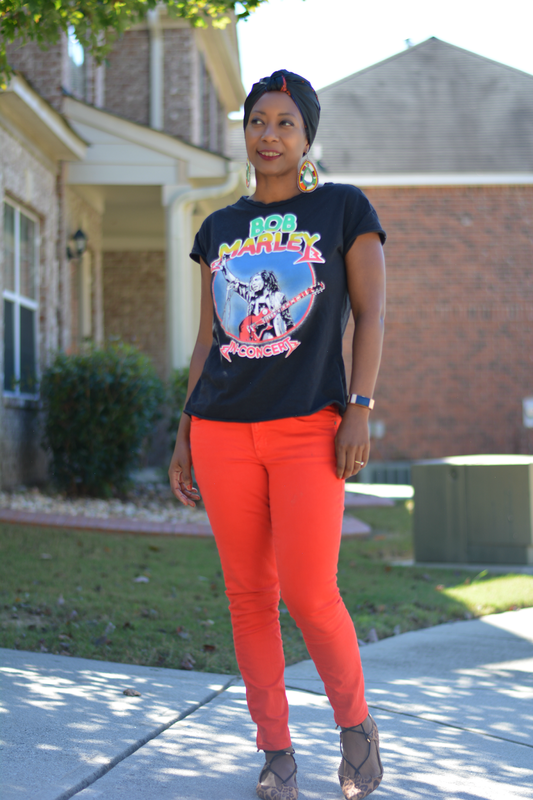 This is a fast and super simple diy with only two seams to sew. I'm already thinking about other color options to make. I plan to go high drama with purple velvet and a hot pink satin for the next one. Instructions: Draw and cut rectangles into a "whale" shape. 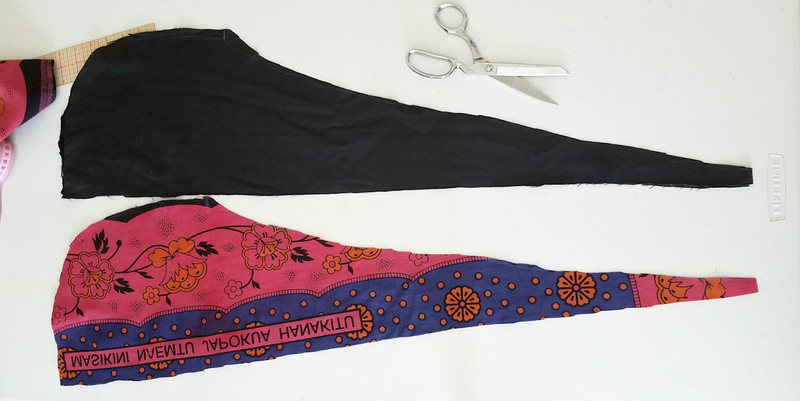 It's basically a curve for the head and taper until you reach end of fabric. The highest point comes about 10" away from start of curve. Mark it. You'll need it for the next step. Sew each of the sets together along the curve and stopping at that 10" high point. Place the two sets together with right sides facing. 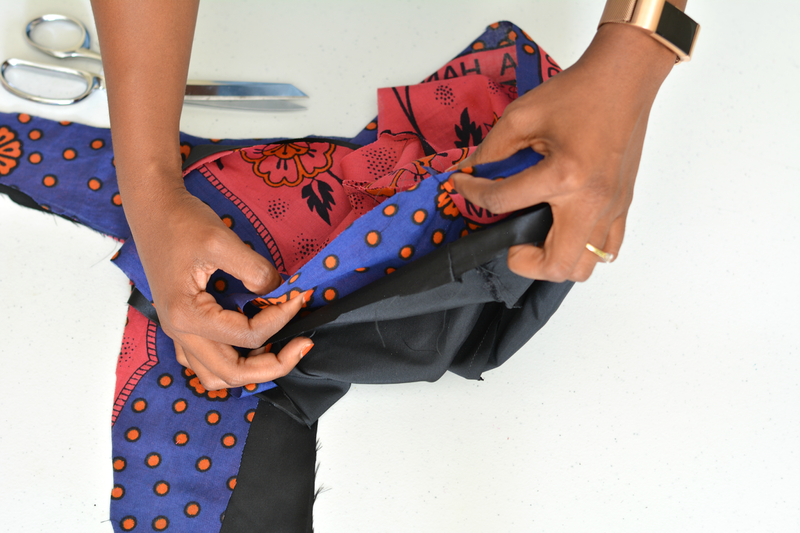 Sew a seam along the entire turban leaving a small space open to turn fabric. 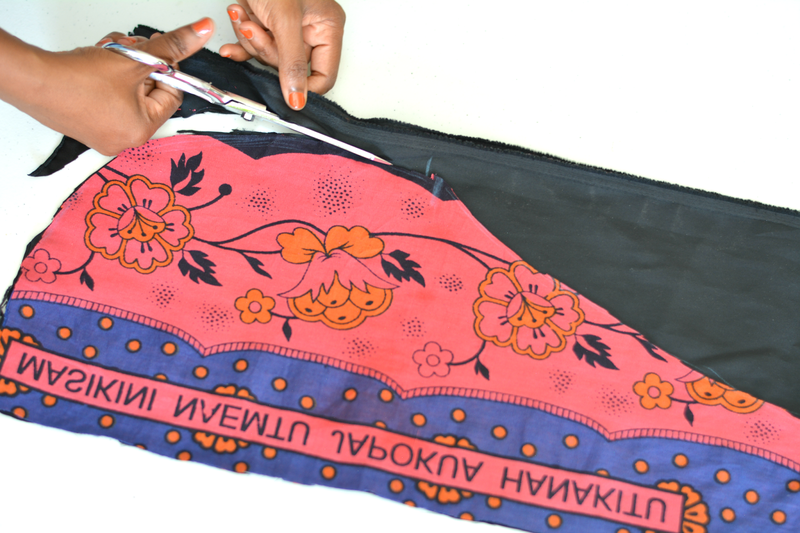 Turn fabric right side out and sew the opening closed. 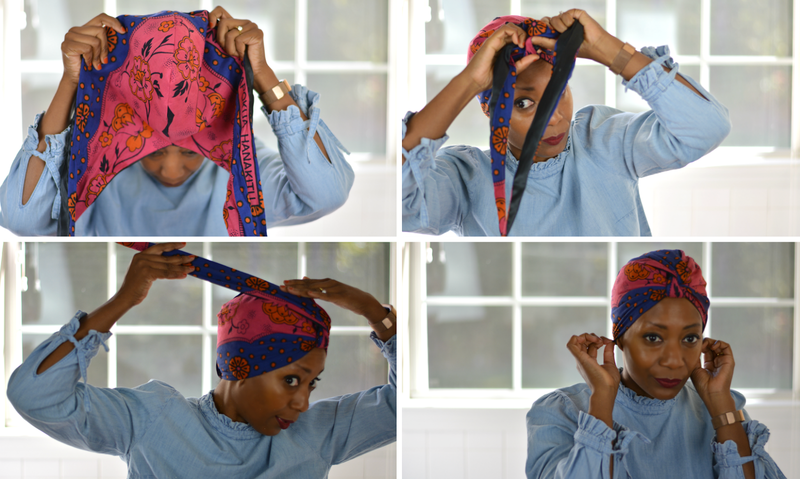 You can experiment with wearing the turban in different ways but my preferred way is two simple knots tied in front. Pull the two long ties to the back and tuck in place. Adjust and done! 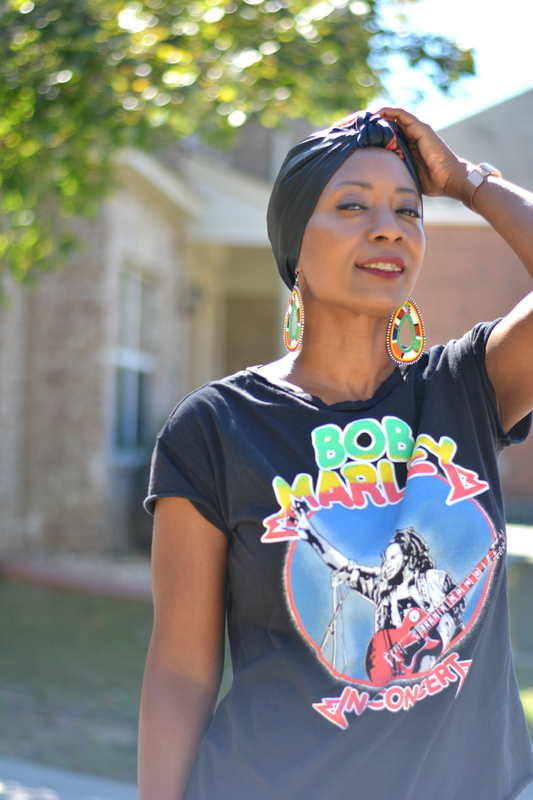 Are you a fan of turban wearing?